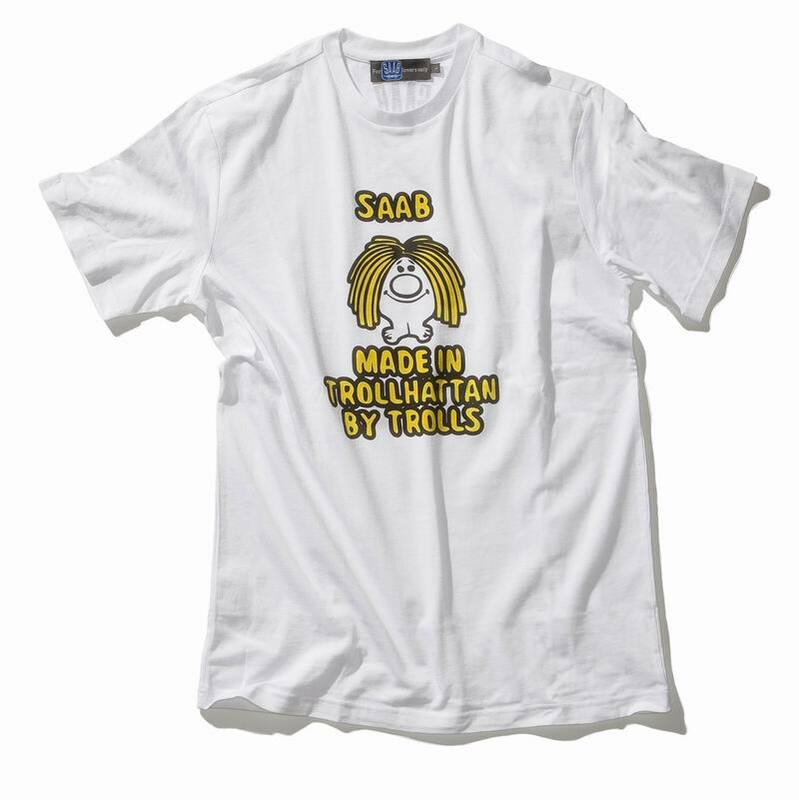 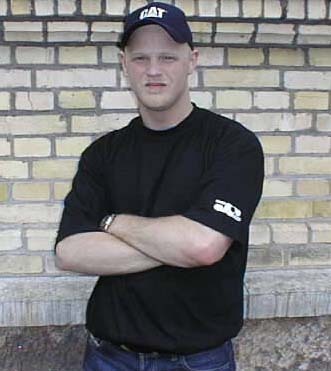 T- 01 / "Made in Trollhättan by Trolls"
T- 03 / "SAAB free logo T-shirt"
T- 04 / "SAAB blue logo T-shirt"
White cotton with print on chest. 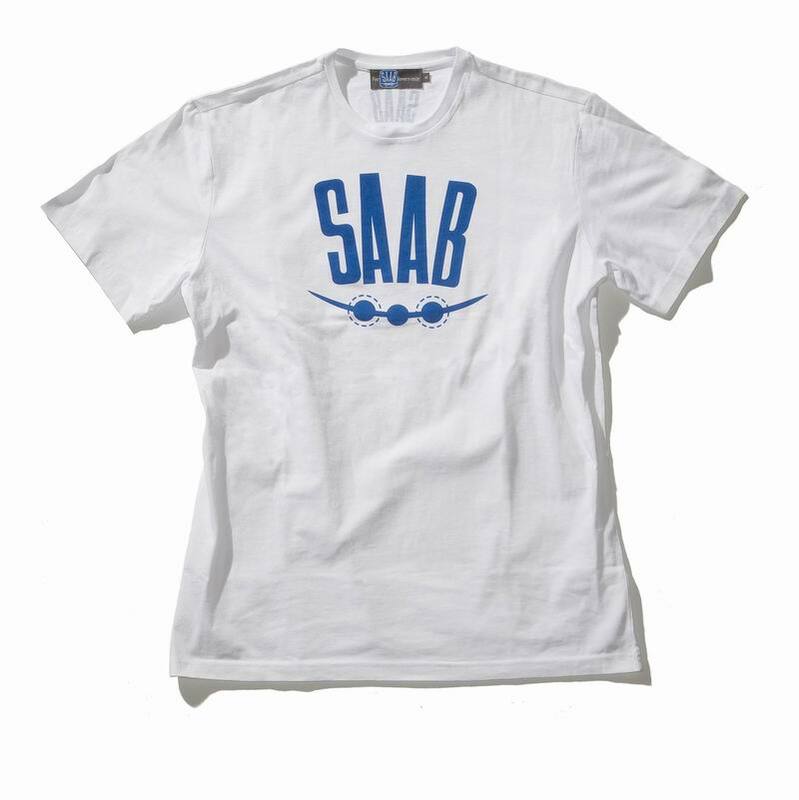 Blue bottom with white embroided sport&rally logo. 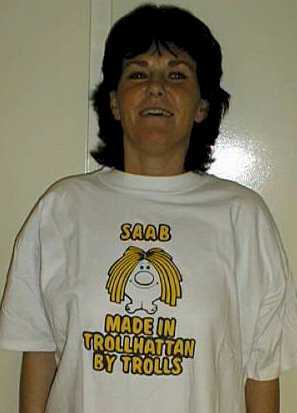 Round embroided SAAB Service logo.